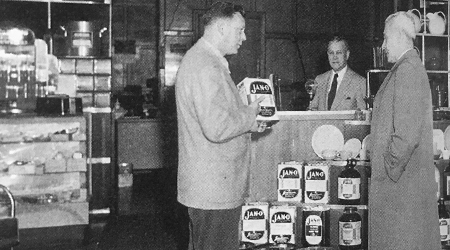 When the first issue of Sanitary Maintenance was released in 1943, the future of not just the jan/san distribution industry, but also the United States itself, was marked with unknowns. Millions of Americans were serving in the military to help the United States battle in World War II, while masses of others worked to create the products and materials needed to facilitate the global effort. As a result, manufacturers of cleaning supplies were hamstrung by government orders limiting the materials that could be used, meaning distributors got a less than ideal product. The number of workers available for hire in the industry was also less than desirable. Things changed drastically when the war ended, as soldiers returned stateside with a new found appreciation for cleanliness, as well as visions of starting life anew. With many young couples marrying and planning for the future, economic stability was paramount to supporting the upbringing of their children — which would be known as the “Baby Boomer” generation. It just so happened that jan/san distribution right after the war was “the ultimate family business,” says Fritz Gast, who was the executive vice president of PB Gast and Sons when the 100-year-old company sold in 2012. As Gast and others point out, this time didn’t just lead to a boom in employment for eager-to-work veterans, but also the birth of some significant distribution companies. One example of these booming, family-oriented enterprises is WAXIE Sanitary Supply, San Diego, which was purchased in 1945 by Harry Wax when he came to the city following his service in the United States Navy. 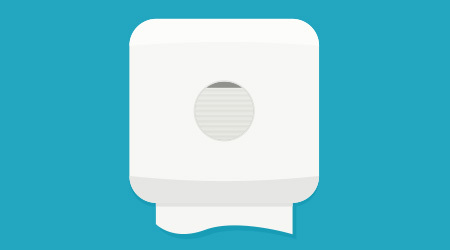 Soon after the purchase, Harry wrote his still-in-service brother, Morrie Wax, encouraging him to come and help the business when he returned, says Charles Wax, chairman and CEO of WAXIE, and son of Morrie. When Morrie arrived at WAXIE, he did the selling, buying and hiring, while Harry was in charge of the company. WAXIE had only about a dozen employees at this time, which wasn’t unique. Distributors were “very, very” small in those days, says Charles, who began to frequent his father and uncle’s company at just around four or five years old. Peter Henson, CEO, The Henson Sales Group, Wayne, Pennsylvania, can also speak to family ties and the growth of the distribution industry. Henson’s uncle, Jim Kenny, returned from World War II and landed a job with 3M before becoming an independent sales representative. Henson says 3M sprung a lot of sales reps at the time and a good amount of the leaders in the industry today came from bigger companies.